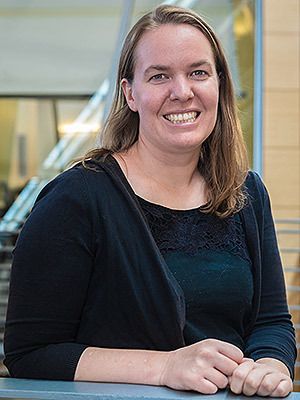 Chancellor’s Postdoctoral Fellow Colleen Cheverko's research focuses on the interactions between growth disruptions due to experiences during childhood and subsequent mortality risk as adults. 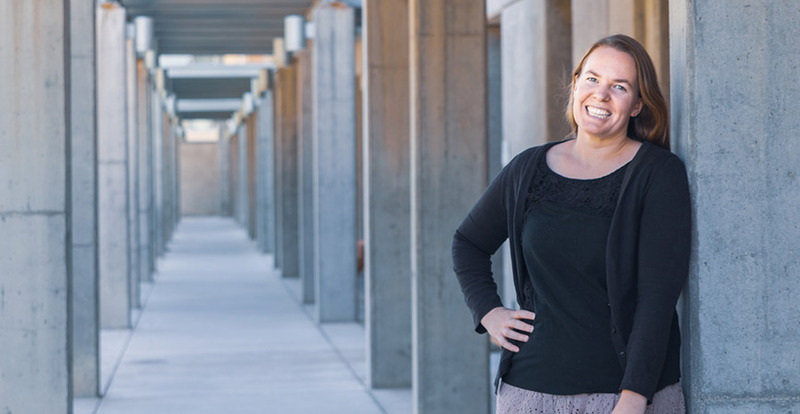 Two of UC Merced’s newest postdoctoral researchers, Colleen Cheverko and Maria-Elena Young, received the Chancellor’s Postdoctoral Fellowship (CPFP) for 2018-2019. The fellowships, which are for one year with a potential one-year renewal, provide professional development and faculty mentoring to outstanding postdoc scholars whose research, teaching and service contribute to diversity and equal opportunity at the University of California. Young, who is from an immigrant family, grew up in a diverse community in Oakland. “That was my motivation to go into public health research, especially looking at how immigration systems shape well-being,” she said. Her research focuses on the effects of the U.S. immigration system on the health of immigrant populations and examines the relationship between health inequities and factors such as citizenship and legal status and state and local policies. She seeks to understand the various structural, institutional and individual mechanisms that link policy with health outcomes. Young is working with sociology Professor Tanya Golash-Boza and public health professor Susana Ramirez. “I am lucky to have mentors in two fields, so it gives me different perspectives,” she said. She will also resume the research she began at UCLA, which seeks to understand the experiences of Latino and Asian immigrants in California in the areas of health care, social services, employment, education and law enforcement and how these experiences have affected their health and access to health care. “I’m looking at how they navigate things like getting a license or obtaining health care. How do they deal with barriers they come across?” she said. Young earned a Ph.D. in Community Health Sciences at the UCLA Fielding School of Public Health, where she was a graduate student researcher at the Center for Health Policy Research and contributed to the Remaining Uninsured Access to Community Health Centers (REACH) Project. She received a master's degree in public health with an emphasis on maternal and child health from UC Berkeley School of Public Health. I am lucky to have mentors in two fields, so it gives me different perspectives. Cheverko, who hails from New York, studies past behaviors using skeletal remains. She received a master’s degree at California State University, Chico. She received a Ph.D. from The Ohio State, both in anthropology. Her thesis researched how patterns of growth disruptions were correlated to mortality risk in diverse populations in the past. Cheverko worked with museums such as the Smithsonian in Washington, D.C., to look at adult human remains from California, Alaska and Missouri to assess indicators like long bone lengths, height and teeth. The assessments allow her to see how unfavorable experiences during childhood, such as malnutrition, continued to affect individuals throughout their lives. The study found different populations have clear cultural and environmental factors, but it isn’t clear yet what those are. 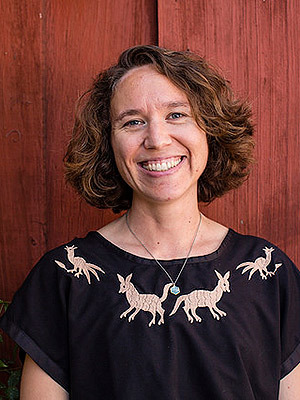 That led her to UC Merced for her postdoctoral research working with anthropology Professor Christina Torres-Rouff, who is helping her connect the cultural component. The Chancellor’s Postdoctoral Fellowship is administered in parallel with the UC President’s Postdoctoral Fellowship Program (PPFP). To be considered for a CPFP fellowship, all interested candidates must first apply to PPFP.